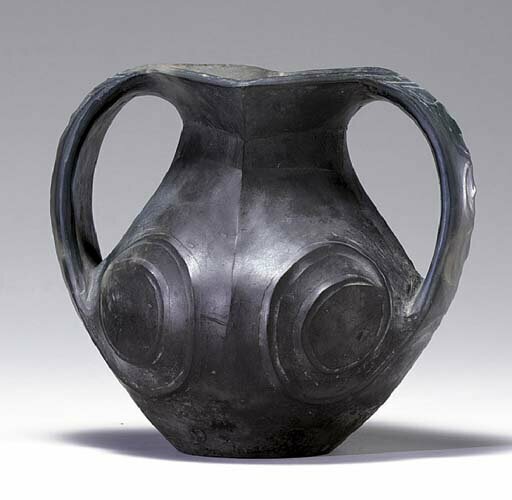 Notes: A similar jar in the British Musuem is illustrated by S. J. Vainker, Chinese Pottery and Porcelain, New York, 1991, p. 43, fig. 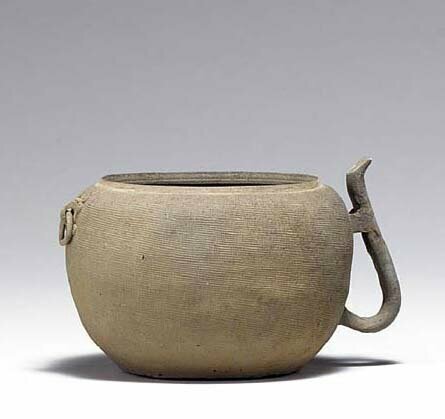 30, where the author notes that this type of jar is known as Lifan, after the area of Sichuan province in which they have been found, and that the shape occured as early as the Neolithic cultures of Machang (c. 3000-2500 BC) and Xindian (c. 1500 BC). 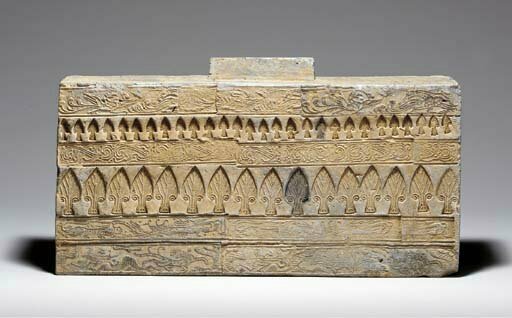 The amphorae of this type that have been published are dated Warring States or Han dynasty.